Fits Fitbit Flex. 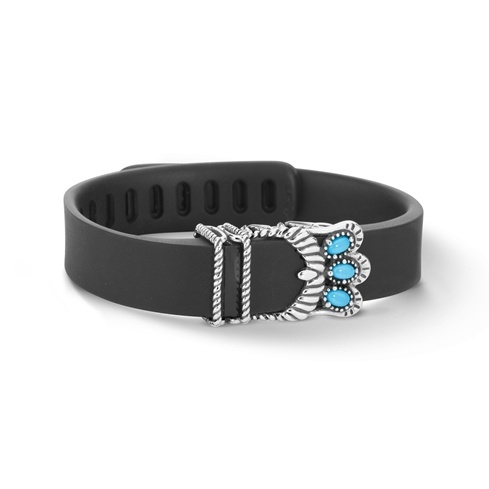 Sterling Silver accessory for your Fitbit. Sleeping Beauty Turquoise gemstone. Measures approximately 1.25 inches long and 0.75 inches wide. Designed and crafted in America with gemstones mined in Arizona.